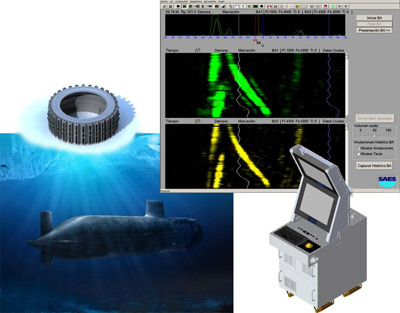 SOCILSUB allows the incorporation of new and advanced signal processing algorithms in order to improve the sonar detection range and the audio quality in a cylindrical sonar. By this solution, modifying the sonar array in the bow of submarine is not necessary. This fact make easy and save money in the modernization of any submarine. Using the same hydrophones of the existing array, the quality of signal and processing can be improved. By modernization, the cylindrical sonar will have better abilities to surveillance, detection and tracking. 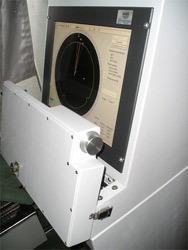 The friendly displays have been designed taking into account the operator needs in order to improve the functionality of the sonar. Solution for cylindrical sonar updating saving time and money. Most cylindrical sonars currently installed into old submarines have high performance but many limitations in signal processing, integration with other system and in human-machine interface, mainly due to the existing technology when the submarine was designed. This situation may be intensified by the problems of obsolescence. Experience in successful programs of modernization. SOCILSUB has been installed onboard the Agosta class Spanish submarines. 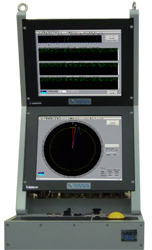 Complying with the most stringent quality requirements, the system can be adapted to work with the majority of cylindrical array sonars currently installed in submarines worldwide. 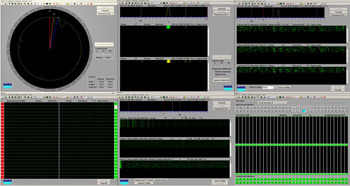 Broad Band (BB), Narrow Band (NB), NB Multi-LOFAR and BB/NB Events. LOFAR, Magnified Zoom and DEMON Analysis. BB/NB Tracking in automatic and predictive mode. Audio with automatic and manual tracking beams. BB contact signal recording and reproduction for training. Wet End test by audio, video and BITE with hydrophone cancellation. Integration with the Navigation system.